Compactors are machines or mechanisms that are commonly used to pack and condense waste material. Taking many shapes and sizes, compactors are typically used for Agriculture, Recycling, Construction, Municipal Use, Industrial Compacting, and Commercial Use. Compactors are typically powered by hydraulics and may range from small plate compactors that flatten soil or gravel in landscaping to large tractors with spiked steel wheels or bulldozer blades. The smallest of the compactors, Jumping Jack compactors tamper soil and other material that sits as the foundation under concrete slabs. These compactors are handheld, have small engines, and hydraulic rammers that push rammer shoes for compaction. Nine to eleven oscillating rubber wheels for fine grading and soft materials. Smooth front drum like a soil compactor and rear wheels like a pneumatic compactor. These come in different sizes, including large ones with large drums and two rear wheels and smaller versions with double rollers. Double-spiked rollers support a cab and allow for heavy-duty compaction. On the front of the machine is a bulldozer bucket. Determine size constraints, job type, and maneuvering needs before picking a compactor. The drums or vibrating plates on compactors perform differently depending on the material they are compacting. Jumping Jack compactors work best on sand, granular soils, and gravel and are ideal for backfill in trenches. 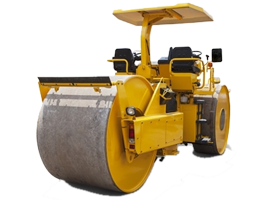 Alternately, a sheepsfoot roller is best used on clay, cohesive soils, and silt. Some areas such as trenches have confined spaces to work. Large drum tractors will not fit in the trenches, so Jumping Jack compactors are best. 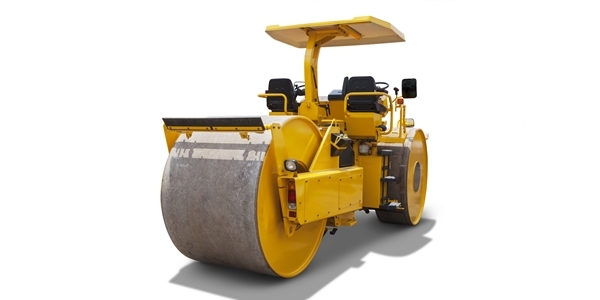 For large, open areas ride-on-rollers such as the pneumatic roller or tandem vibratory roller cover the expanse with quicker speeds and bigger equipment. There are several popular manufacturers in the compactor market including Caterpillar, Bomag, Dynapac, Ingersoll-Rand, and Wacker Neuson.